Winners: The winners will be notified shortly by the Bowsite with instructions on claiming your prizes. Will Primos had been shooting a PSE Durango for some time and he was wondering how to integrate some of the new PSE products and components into his bow. So PSE took the new Durango Lite riser with Magnaglass limbs and added the new Ultimate One-Cam and the new NV System. Other niceties included the hardwood grip and a posi-lock rest pocket. The result, a high performance bow with a perfect let-off... and whisper quiet action. Currently being shipped in 29" draw length in 60# and 70#. Draw lengths from 26" through 31" can be achieved with a simple module change. 65% let-off modules are also available. At DAY ONE you will find their workmanship, designs, and product integrity out-performs today's standards. 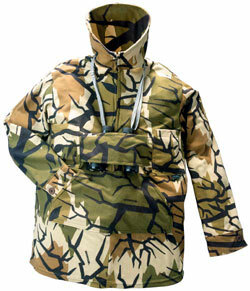 For example, their garments are all handmade, meaning one person makes your camouflage - start to finish. They feature tall Weather Check Collars, NEW insulated performance pockets and directionally correct branch and leaf camouflage patterns. So, expect years of "SILENT SUCCESS" and durable wear with DAY ONE. 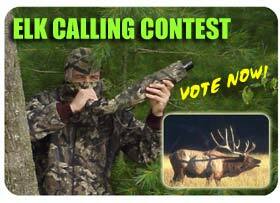 Find out why Serious Hunters choose Day One Camouflage! The PSE Team brings you the next chapter in the PSE Experience. You wont believe your eyes as you watch John May 5 yards from a 350 class bull trying to decide whether to shoot or not, or Robbie Daniels curious Pronghorn on the plains of San Augustine, or Saundra May passing on bulls most hunters would die for. It's all here and a lot more. 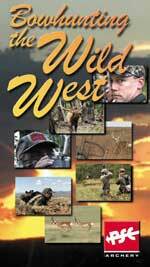 Join us in this western adventure with Pete Shepley, Ray Howell, John and Saundra May, Robbie Daniels and many more Team PSE hunters as they share their exciting experiences in the Wild West. Mule Deer, Javelina, Pronghorn, and Elk; all Spot and Stalk. This is the West at its Best. The PSE Experience- You never know what the next adventure will bring. Purchase Your Copy of this video here!